Yes, I know cheesy title, but I wanted you to click on it! So, we all know I am single. That means if any jewelry is coming in the house I am the one buying it. I have been wanted a double heart necklace for some time now. I love how the two tone hearts play off each other, creating depth and dimension to the pendant. My favorite feature of the double heart pendant is how much it sparkles! Get this pendant in the sunlight and it’s glimmering. Everyone’s attention will be drawn to you. I like jewelry but I don’t dress up often. The moment Peyton was born was the moment I gave up wearing earrings and necklaces. Now that’s she much older I can start exploring the world of jewelry again. Though, now I have to worry about Peyton taking them for herself. The double heart pendant is an ageless piece. If Peyton had a special occasion, like pictures, I would let her wear the pendant. It would look adorable with one of her dressy dresses for holiday pictures. But if I wanted to wear it with a pair of jeans and t-shirt it would look nice too. This really is a versatile necklace. Another feature I like is the drop of the necklace. I can wear it with nearly any neckline and no issues. There’s a 2 inch extender that enable me to adjust the necklace to the perfect length for whatever type neckline I am wearing. On the shortest setting, it lays right below my throat but is the perfect length for Peyton. I prefer to wear it on the longest setting. I like having it lose around my neck. If you are thinking about getting your daughter a necklace for homecoming this would go beautifully with any gown. Because of the gold and silver tones you can wear it with just about anything. 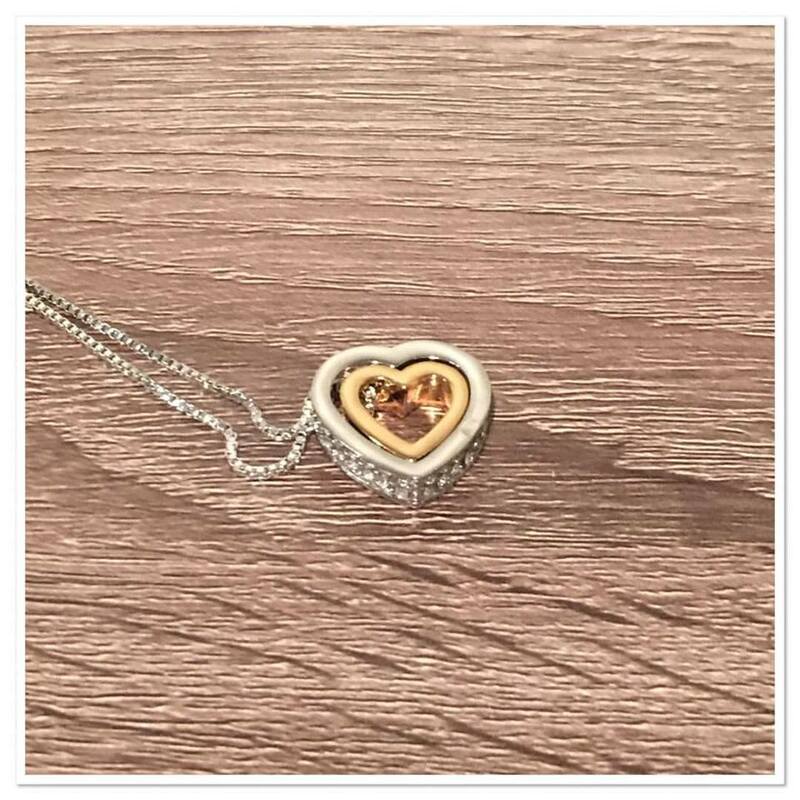 You can purchase your very own heart pendant necklace on amazon.